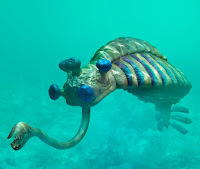 There was much discussion about "real" non-humans in Fantasy; that is, intelligent creatures in Fantasy works that are psychologically non-human. Garfinkle made the claim that elves in Tolkien "should not be thinking like humans", which caused me to strain an eyebrow for lifting it--rather misses the point, but I'll avoid that digression. Sneed had an interesting point--non-humans in fantasy works can "escape naturalism"--that is, they can believably have minds not bound to things like evolutionary psychology, because we've already accepted that the world does not work according to strict materialism. Neumeier and others had examples of great "aliens" in fantasy works. Much talk of how evolutionary/environmental history will shape a species, with some examples of authors who've done that well, and others who went too far for suspension of disbelief to hold. A lot of discussion of game theory, particularly the prisoner's dilemma and it's relation to aggression/altruism tendencies, and how conspecifics are usually the biggest threats to an organism--so psychology will tend to revolve around in-species dynamics. Weiner had some delightful scepticism towards wholly pacifist aliens; I was reminded of Peter Watts' theory in "Blindsight" (2006) that "technology implies belligerence". Cephalopods (maybe: lots of intelligence, but not social/linguistic and don't live long enough). Of crows, we were encouraged to look up videos of them solving puzzles (example! ), as they're quite impressive. Elephants kept coming up again and again, since "you don't have to turn them up very far" in terms of intelligence to get something human-comparable, yet they tend to be overlooked when talking about intelligence among non-human animals, where chimps and dolphins steal the limelight. Some very brief discussion of AI & post-human intelligences, but nothing too in-depth: everyone seemed most interested in talking about species in the biological sense. Bostrom's "Superintelligence: Paths, Dangers, Strategies" (2014) was brought up as an interesting read on the topic, though, including the point that "any level of intelligence can value any given thing". Discussion reminded me a bit of the Chicago Philosophy Meetup on AI a while back. Some brief, intriguing remarks on parasites, symbiosis, and intelligence, with toxoplasmosis as the prime example. Hypothesis: there is a variant that specifically affects SF/F writers. Let's call it Toxoplasma chanur. The panelists also talked for a bit about the use of non-humans for rhetorical purposes rather than as examples of believably-crafted exobiologies. Lem & the Strugatsky brothers' use of ineffable aliens to confront human limitations, for instance, or the use of aliens & fantastic creatures as satirical mirrors to humanity in Pratchett's "Discworld" books or Swift's "Gulliver's Travels". Thorough take-down performed on the idea that a humannoid form is the manifest destiny of intelligence--lots of other anatomies that can yield all the necessary qualities. (This bit, and much of the rest of the panel, lined up pretty nicely with my talk on the cognitive diversity panel back at Wiscon.) If you're looking to go weirder than elephants and crows, the panelists rightly suggest checking out the Burgess Shale, which is chock full of some pretty weird stuff. Also it was mentioned that there is a good Burgess exhibit & animations at the Field Museum. -Kate Elliott's "Spirit Walker" trilogy; fantasy but includes a species based on troodonts. 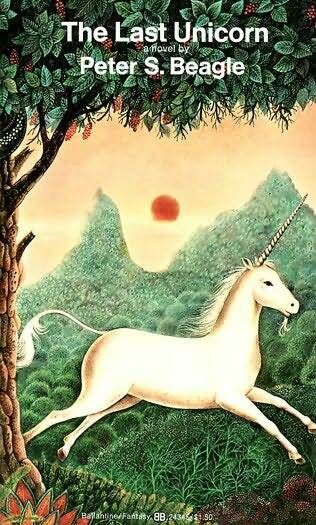 -Peter S. Beagle's "The Last Unicorn"
-Martha Wells' Raksura books ("The Cloud Roads" etc. 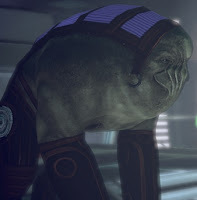 ), cat-like species but good, we are told. -Tad Williams' "Memory, Sorrow, & Thorn" trilogy ("The Dragonbone Chair" etc.) for Tolkien-inspired elf-type creatures that seem more non-human. -Naomi Novick's "Uprooted" for the forest. -Niven's aliens, particularly the Puppeteers in "Ringworld" etc. -Cherryh is the master of writing alien species, as several panelists and audience members (and this humble blogger) affirmed. 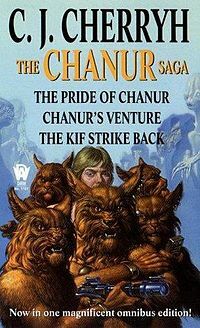 The "Chanur" & "Foreigner" books in particular mentioned, while Neumeier also gave an intriguing shout-back to her "Cuckoo's Egg" and Cherryh's common plot of making the human the alien. -Brin's "Uplift" series ("Sundiver" etc. ), which are packed full of wildly different aliens. 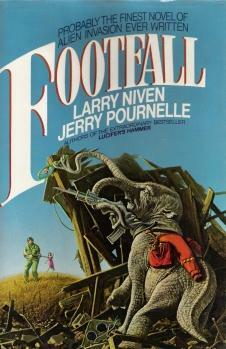 -Pournelle/Niven's "Footfall", as an example of elephant-like aliens. -Jack L. Chalker's work (prolific!). Not sure how to summarize the weirdness of his books, which had the panelists and some audience members chuckling--lots of inventive aliens, and lots of really strange sexual-fantasy stuff with the plots. -James L. Cambias's "A Darkling Sea", which Neumeier really championed, and I agree! 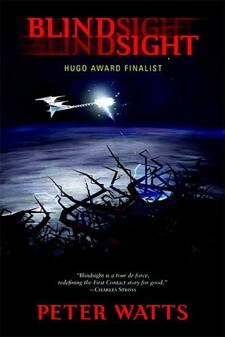 Two fantastic alien species, and in a debut novel, no less. -"A Litany of Earth" by Ruthana Emrys, reimagining the Lovecraft mythos. -Heinlein's Martians in "Stranger in a Strange Land" and elsewhere. -Francis Hardinge's "A Face Like Glass"
-Ardath Mayhar's "Golden Dream", a sort of spin-off from Piper's Fuzzy series that was highly recommended. -Ted Chiang's "Story of Your Life", because that really can't be mentioned enough. Seriously. Thanks to the panelists for a good talk. By the way, you can check Positron's "alien" tag for posts & notes on this topic.